Three ways entrepreneurs can bring the rate of progress we’ve seen in computing and communication to car tech. 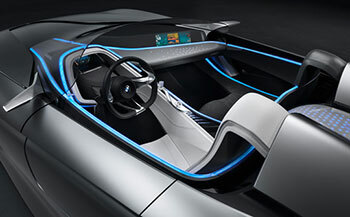 BMW’s Vision ConnectedDrive concept car. Image: BMW. Throughout much of early-to-mid 20th century, cutting-edge design and technology found its way into cars. Following the invention of the integrated circuit, chips and bits started displacing pistons and gears in the hearts and minds of engineers. Silicon Valley’s gravitational force began stripping Motor City of its talent, compounding with the success of every tech startup. Not long after the birth of the Internet, Silicon Valley experienced unencumbered prosperity, while Detroit struggled to hold on for dear life. As automakers rise through the ashes of bankruptcy and corporate hot-potato, I expect our best and brightest entrepreneurs and engineers to be building car tech companies.